Mushrooms Fest will take place from 21 to 23 October 2016 in Castelbuono (PA). In the enchanting locations of Madonie Park, the festival of mushrooms will include also art, history, culture and tradition. In the event program: tastings, sightseeing, excursions, music, shows, exhibitions and conferences. There will be also street artists and shows of folklore groups. With guided tours you will discover the medieval town and you can also live a great experience in nature with excursions. 2016 Festival of mushrooms of Castelbuono is the 10th edition and for this reason this year the event is even more important. The event aims to promote culinary excellence of the territory and specially the mushroom. Castelbuono, town in the province of Palermo, on the slopes of the hill Milocca, it’s part of the Madonie Park. 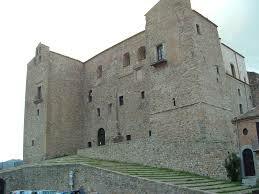 Castelbuono is also known for its handicraft: the works in wood and wrought iron are very renowned and appreciated. Special attention deserves also feminine craft like embroidery, lace and work in weaving. Among those products typical handicraft confectionery is very popular. Castelbuono is famous for hand decorated Easter eggs, Colomba pasquale, i.e. Easter cake with a shape of dove and Panettone, the famous Italian Christmas cake; and also almond cookies of various shapes and types and a tasty homemade bread. Nowadays some companies of Castelbuono producing wine, olive oil an Panettone are known all over the world thanks to the export of their high quality products. And if you go to Castelbuono you can’t forget to visit these places: The Church of Maria Santissima Assunta – Matrice Vecchia, where you can find the crypt containing Medieval, Renaissance and Baroque frescoes. The Church of the Nativity of Mary – Matrice Nuova. The Castle, inside which there is the Sant’Anna palatine Chapel; The Fountain of Venus Ciprea at the center of “old land” that today is the main street. After the excursions or the tours and after tasting typical products, you will need some relax in a peaceful and quiet place, so if you are looking for a suitable accomodation, you can look our Villas in Sicily near Castelbuono.